Congratulations to our 2016 confirmation class participants (from left) Kyla Farley, Perry Picotte and Kamryn Plock. Our confirmation class studied the curriculum called “Credo,” which is meant to help our kids better understand our Wesleyan heritage and the key lesson that Jesus Christ died for all mankind to save us from our sins. 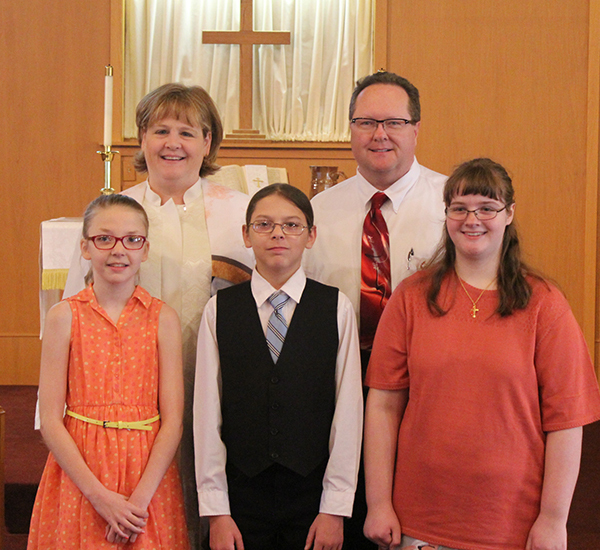 We celebrated with these three of our youth and their families during the 9:30 a.m. worship service on Sunday, April 3.